Story behind Fairy Core and why it is so far into the future of the world. After the events of the year 791 a wondering wizard sort to create a better magical world where wizards once again did battle to create these events he went back and change past then he brought famous guilds to this world. 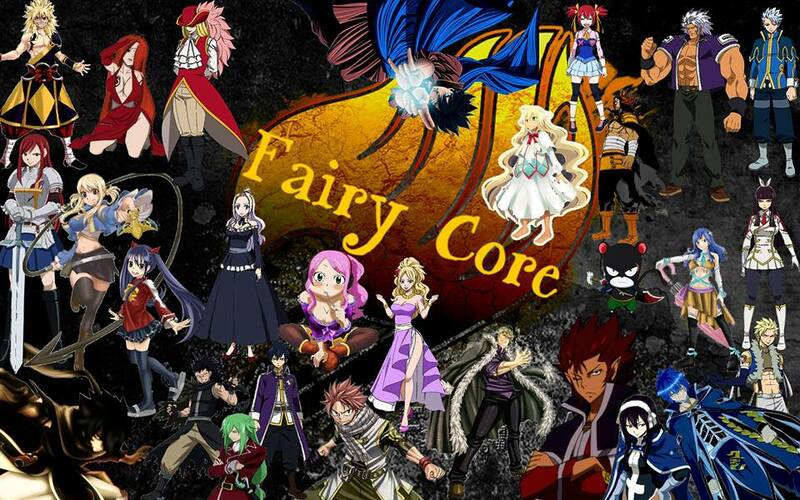 Fairy Tail,Sabertooth,Lamia Scale,Blue Pegasus,Quatro Cerberus,Mermaid Heel,Raven Tail Crime Sorcière. Were all brought to this new world but so were Oración Seis,Grimoire Heart and Tartarus were brought here as well. This change the future allowing new guilds,magic and wizards to be born. The wizard who cause all of this has disappeared.